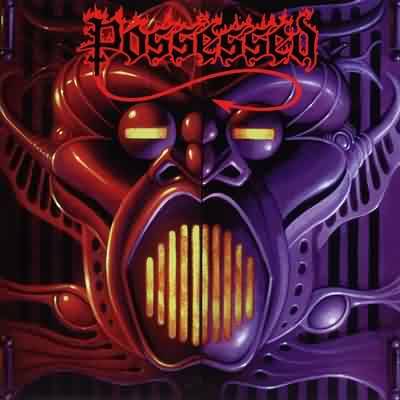 1) Possessed started with Mike Torrao (guitar) and Mike Sus (drums) as a garage band in San Francisco's Bay Area. They formed in 1983, and were basically a garage band, with several lineup changes. Late in 1983, though, their singer Barry Fisk committed suicide, and when they managed to recruit singer/bassist Jeff Becerra they formed the band Possessed. Possessed took San Francisco's metal scene by storm, playing out with fellow Bay Area thrashers Exodus (it happened that the two Mikes were pretty good friends with Exodus' H-team, Rick Hunolt and Gary Holt) and other bands (many now long gone). In 1984 they recorded a four song demo which made its way to the ears of Brian Slagel of Metal Blade Records. He was impressed enough to ask them for a track for the upcoming Metal Massacre 6. 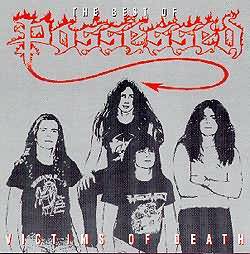 Possessed gave them the song Swing Of The Axe, which proved to be the highlight of that compilation, and was included on the later "Best of Metal Massacre." However, at the same time the band was deciding which track to give them, they were dealing with a weak link in the band, and his name was Brian Montana. In interviews after the fact, Torrao says that Montana's playing skills and dedication to the image that the band was trying to create (the 'leather and stud, inverted cross death/black stage presence) left much to be desired. He was fired, and Possessed then enlisted the axe-playing skills of Larry Lalonde, finagling him from that earlier band. Thus, all at once, Possessed got one track released and a new guitarist. However, Metal Blade did not sign Possessed, and neither did Torrid Records, by this time the home of Exodus. Combat Records signed Possessed in 1985, and the band spent the school Easter break recording the heaviest, fastest, most evil piece of metal ever to be carved into vinyl grooves - Seven Churches. This is the album that set the standard for death metal. Released in October of 1985, it was light-years ahead of its time, with the intricate-yet-heavy riffing of The Exorcist, Twisted Minds, and the title track (LaLonde's first co-writing credit) and the skull-pounding brutality of Burning In Hell, Evil Warriors, and the seminal Death Metal. The album was masterfully produced by Randy Burns, and recorded at Prairie Sun Studios. 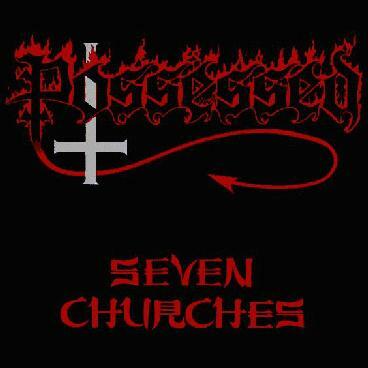 Seven Churches went on to be Combat Records' biggest-selling album. Not bad for a quartet of high school kids. They spent most of the next year gigging around the US and Europe, and in October 1986 (on Halloween, to be exact) unleashed their second album Beyond The Gates. A poor production job by Carl Canedy robbed the songs of some of their energy, but the musical genius of Torrao's and Becerra's songwriting shone throughout the album, especially on cuts like The Heretic, Beyond the Gates, and No Will To Live. Torrao and Becerra also got some help from LaLonde, who wrote three of the album's songs: Phantasm, Seance, and Tribulation (a crowd favorite from before the first album). This album was especially well received in Europe, where they toured at the end of 1986. They toured more in the states early in 1987, and later that year they recorded and released The Eyes of Horror, a five song EP produced by LaLonde's guitar demagogue, Joe Satriani. It was musically the most advanced thing that Possessed had done, but the trademark satanism was almost completely absent on the EP. They had begun moving more in a thrash direction, and were getting away from the death and black magic imagery of their first two albums. 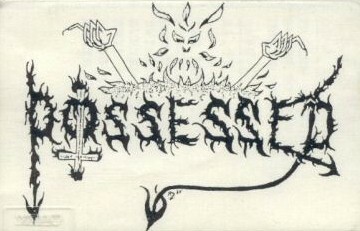 Shortly after the release of The Eyes Of Horror, the members of Possessed decided to call it a day, and Sus, LaLonde, and Becerra left the band. Mike Torrao continued writing and recording music music under the Possessed name, taking over vocal duties. This part of the history is incomplete. Possessed went through several people trying to settle on the perfect mix for the band. 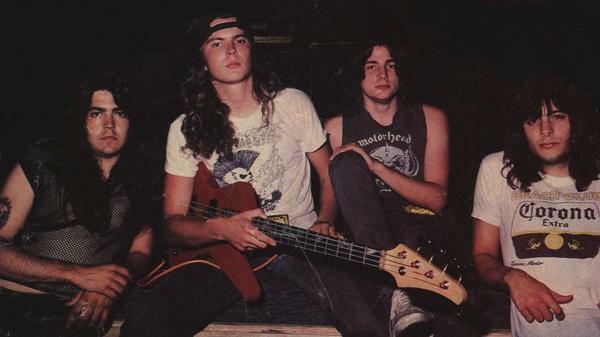 After several tryouts (including, among others, Duane Connley [guitar] and Colin Carmichael [drums] from fellow Bay-Area thrashers Sanguinary), the line-up finally settled on Bob Yost (bass), Walter Ryan (drums), and Mark Strausberg (guitar) in 1991. This line-up recorded one two-song demo. Yost quit, but Torrao, Ryan, and Strausberg continued with new bassist Paul Perry, and this lineup released a three-song demo in 1992 (though apparently there was also a four-song version, including a newly- recorded version of The Exorcist). In 1993 Possessed returned to the live stage in the Bay Area, opening a few shows for Machine Head. Exploration was originally intended for releases in 1971. Due to various reasons the album never saw the light of day.